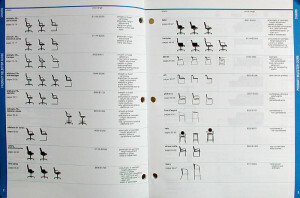 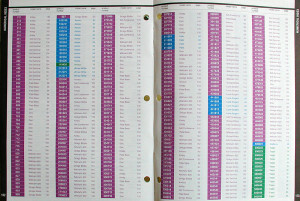 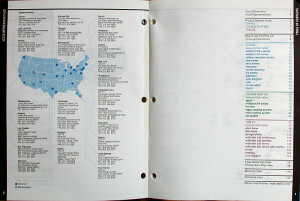 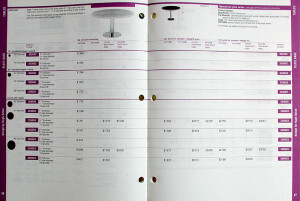 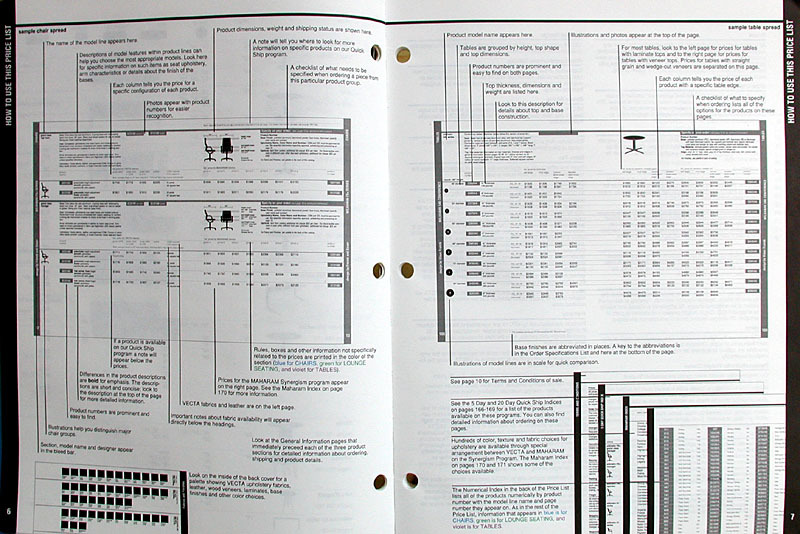 In 1989, VECTA, a division of Steelcase, asked TheUnderstandingBusiness to look at their catalogs as a system. 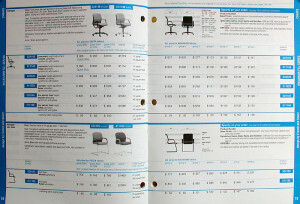 I was handed four or five catalogs and asked to clarify the information in them, remove needless redundancy, combine them as much as possible (to cut printing costs) and make them easier to use (with fewer mistakes). 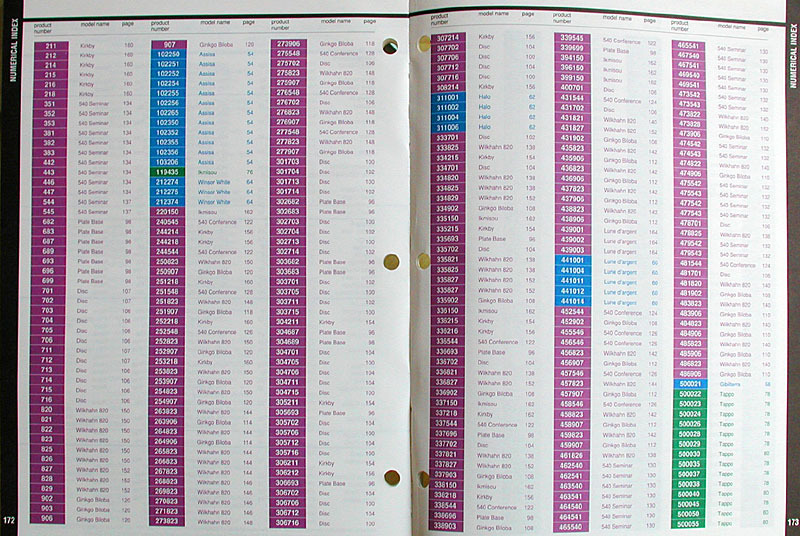 I think that the final system reduced five catalogs and supplements into three.